Comet C/2018 N1 as seen by NASA’s TESS. 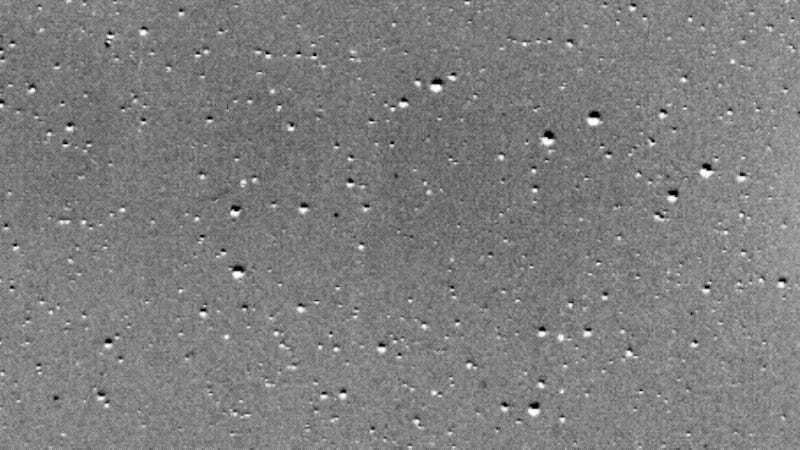 For a 17-hour period on July 25, TESS collected images of C/2018 N1, a comet that was discovered earlier this year by NASA’s Near-Earth Object Wide-field Infrared Survey Explorer satellite. The exercise showed that TESS is able to gather crisp, stable images over an extended period of time and along a broad region of space—a necessary skill set for sniffing out exoplanets in orbit around nearby stars. The resulting video, pieced together from still images, shows the comet moving from right to left as it orbits the Sun—a scene that’s surprisingly packed with astronomical activity. The comet is currently about 29 million miles (48 million km) from Earth, and it has sprouted a gaseous tail that extends across the top of the frame. Stars can be seen toggling between black and white, a visual artifact caused by image processing; C/2018 N1 is definitely in front of these stars, not behind. The scene also contains examples of variable stars—stellar objects with changing brightness owing to pulsing behavior, rapid rotation, or being eclipsed by a binary partner. The small white dots that zip across the scene are nearby asteroids. Towards the end of the video, a faint broad arc of light can be seen moving across the middle of the frame from left to right. This is residual light that’s bouncing off of Mars, which is located outside of TESS’s view. In all, some really cool stuff from a brand new satellite that just happened to catch a comet drifting into the frame. It’s a good sign that TESS is fully functional and ready to do conduct some meaningful scientific work. Its most exciting discoveries are still to come.